Ōdate (大館市, Ōdate-shi) is a city in Akita Prefecture, Japan. As of February 2015, the city has an estimated population of 74,862 and a population density of 82 persons per km². The total area is 913.22 square kilometres (352.60 sq mi). Ōdate is located in the mountains of northern Akita Prefecture, with the Ou Mountains on the east and Aomori Prefecture to the north. The city is a basin surrounded by mountains on all sides. Part of the city is within the borders of the Towada-Hachimantai National Park. Much of the city area is covered in forest. Due to its inland location, the city is noted for its heavy snowfall in winter. Ōdate has a Humid continental climate (Köppen climate classification Dfa) with large seasonal temperature differences, with warm to hot (and often humid) summers and cold (sometimes severely cold) winters. Precipitation is significant throughout the year, but is heaviest from August to October. The area of present-day Ōdate was part of ancient Dewa Province, although it remained outside of the control of the Yamato court until well into the Heian period. During the Edo period, the area came under the control of the Satake clan, who ruled the northern third of the province from Kubota Domain, and who maintained a secondary fortification at Ōdate Castle. The castle was destroyed during the Boshin War. 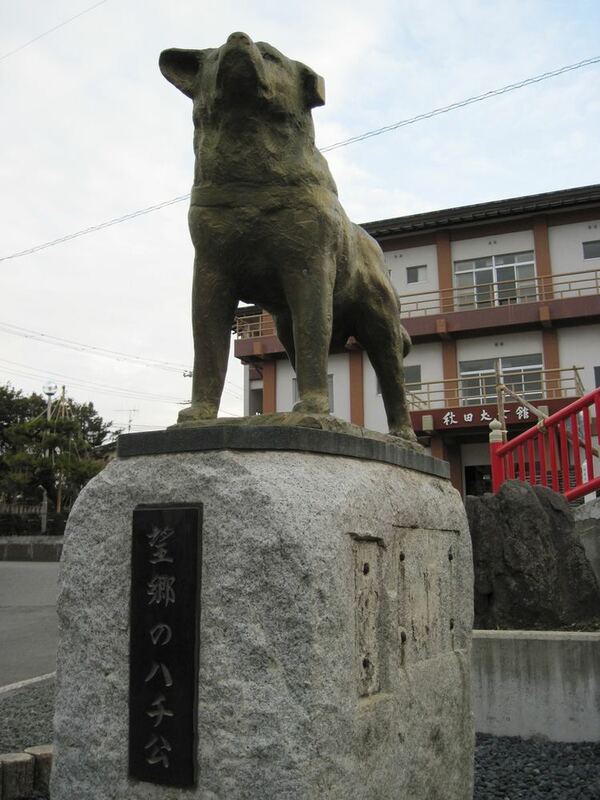 After the start of the Meiji period, the area became part of Kitaakita District, Akita Prefecture in 1878. During the Meiji period, the discovery of "black ore" (sphalerite and galena - a mixture of zinc, lead, gold, silver, and other precious metals), led to the development of numerous mines in the area, including the Hanaoka mine; however, the deposits were depleted by the mid-Showa period. The economy of Ōdate is based on agriculture, forestry and seasonal tourism.